Are You Serious? Sure there are boundaries that should not be exceeded. But Kill Your Ego? come on. So just how do we excel without a strong opinion of ourselves. I love my ego and wouldn't go anywhere without it. Too many have tried to squash it and I won't let it happen. Would you write this without an ego? Did you even read the article?... he explains the context of which he means ego. It's about expectation setting. Your comment feels like you've not even read it. Good points but you need some ego to be human. What I think is lacking in most of us is humility. Humility is not self-humiliation, it is knowing what you're capable of yet being calm and down-to-earth whilst maintaining some boundaries. I think one other reason for designers to talk big scale is that, they are all "products" themselves as an online presence. And to compete, you gotta present yourself with a bit of an ego I guess. Not that i agree. But it's not always because they aren't capable of targeting niche and small markets. To be honest I like those bespoke things better. But It's not just an ego thing. It's a market, and people present their "products", in this case it's their practice... You don't see humble marketing much on Tv.. Thanks for sharing. It's important to think big, but I think the tricky part is when thinking becomes self absorbed and you lose sight of the bigger picture and real goal (speaking from experience). Solving problems for real people is so much harder than it sounds, but so much more rewarding than creating fancy noise and fluff. Must say that I LOVED this. I read all the time comments about creative people complaining about clients, their tastes. I once heard about how changes made to whatever work hurts the "creative ego". I find it sad. Isn't it clear that whenever you sign up for a contract or project you work (produce, write, design, etc.) for someone else and therefore their preferences? People hardly realize that their egos are the Chinese wall between them and their growth. Could keep on writing but let's keep it short. You should have a strong sense of self. 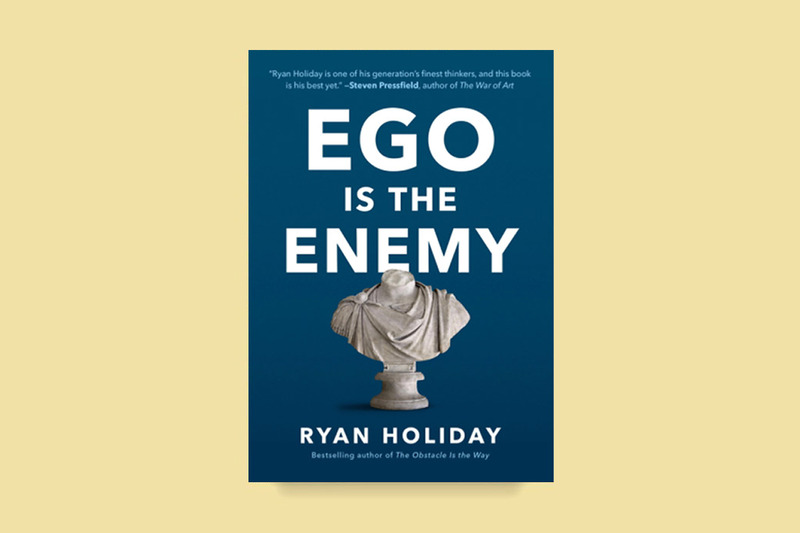 But ego is more about an inflated image of yourself that clouds you from being able to get criticism and take a more composed realistic approach to dealing with designing a product. Understood completely, just don"t like the word “Kill” used in this context. otherwise loved the article. Great article! I would say we should have confidence but not ego, ego will kill almost every learning opportunity that you may find on your way of life. Check out http://www.thetechpower.com for awesome wordpress tutorials. You need a man with Ego, a lot of it, to disagree with any point of this Blog Post. Terrific piece of writing: concise, accurate, empathetic, and motivational, yet practical. Over the years I have felt some of the points that you mentioned here. Being a student of Freelance Writing, I would say, "Good work takes time. I can't hasten to make a better job. I will watch dreams but don't dream while I'm working. I'm here to solve a solution and payments are always secondary. But that doesn't necessarily mean, I will have to work for free to prove my points to someone. I'm here to learn more and tailor my skills. It's not that I can't build something on my own. But helping people to build something gives me more pleasure and I'm good at it." An attempt to convey harmony with your piece of writing. Mr. Michael Abehsera, I look forward to reading the next Blog Post that you publish. Really enjoyed the article. You can apply the exact same thinking to businesses. Everyone and their mom out there is stuck trying to think for some perfect scalable idea because "you can't be successful selling your time, the day has only 24 hours, you have to start a company." BS. You can make a ton of money charging for your time, and the more projects you take on the higher your skill level reaches and so the more you can charge per hour. The best part about it is you never regress as long as you don't cave in to ego; you never have to come out of pocket with all your savings for a hail Mary shot at having a break even business 5-10 years down the line. But the thing with people is they can't let go of their ego. They can't strive for a long, successful grind to a high-but-not-Earth-shattering goal. It's all gotta be explosive growth and billions and zillions. Ego is against the sanctity of design. We want to access the largest possible audience with our design or to the biggest marketplace. I can give myself as an instance. I always apply for the largest competitions with my designs and there are these big dreams and ambitions behind. But what is hard to realise is that most of the winning designs weren't designed with these ambitions. Designing with the ego makes it dull and shallow. Also, this entails excruciatingly bad presentations. It gives nothing but a waste of time. You will lose your motivation. Because it is not going to work in this way. Instead of thinking big and global, you should think local and try to give fast solutions or facilities. Particularly for the architectural projects which were designed as a local and in order to get residents in the projects are the most up-and-coming ones. In spite of some designers who think asking ideas from a potential user of space is inferiority, you should snap out of it and think to solve local problems with unique design solutions. Throughout these design processes, you should let residents or possible users of the space in the designing process without discriminating against them and get a review from them. Instead of this if you act with your ego and be stubborn and exterminate the other stakeholders you will get devastated and you can't get a favourable outcome.